This simple and eco-friendly multifunction printer is aimed at small offices that need an efficient machine for their business correspondence. 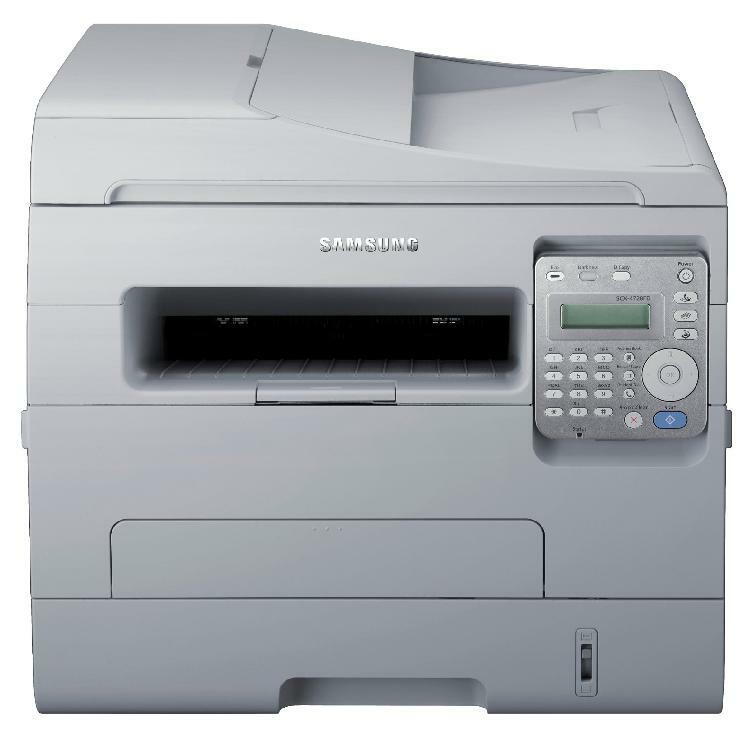 The Samsung SCX-4728FD mono laser MFP features a fax machine and a built-in duplexer. The 1200x1200dpi resolution allows users to produce high quality graphics and crisper text documents. However, the lack of colour printing makes the Samsung SCX4728FD printer inefficient for creative workgroups that require colour in their output. The Samsung SCX-4728FD mono multifunction printer features a straightforward and understated design with a boxy frame that measures 338mm deep, 384mm tall, and 406mm wide. The topmost section is home to the flatbed scanner with an ADF, while the front panel's right-hand side is home to the small control panel with minimal buttons and a mini display screen. The paper cassette is installed at the bottom of the SCX-4728FD multifunction printer. High capacity cartridges are available for the Samsung SCX-4728FD laser printer to lessen the cost-per-page ratio. It operates quietly and the fairly lightweight build makes it easy to move around. There is a 33.6Kbps fax modem with an 8MB memory for 600 pages. The Samsung SCX-4728FD is an environmentally inspired multifunction printer with the auto-duplexer, Eco Button feature, and automatic document feeder all contributing to energy and cost savings. The Samsung SCX-4728FD mono laser printer is fast too, printing at rates of up to 28ppm. The absence of colour printing limits the efficiency of the Samsung SCX-4728FD in a creative workplace. There are no options to upgrade the memory and paper capacity, making the Samsung SCX-4728FD unsuitable for a growing business. There is no Wi-Fi or support for Samsung's MobilePrint technology. Unfortunately, obtaining cheaper "aftermarket" Samsung SCX-4728FD compatible toner cartridges can be tricky although most users find that the original Samsung SCX-4728FD toners are reasonably priced and will always guarantee high quality prints.